On 28 April 2017, the UN Security Council (UNSC) meet to discuss North Korea’s nuclear program and ballistic missile testing (a flagrant violation of UNSC resolutions). With rising tensions, the UN Secretary-General, Antonio Guterres, said that the “absence of communication channels with the D.P.R.K. is dangerous,” using the initials for North Korea. It’s clear that the Trump Administration is rapidly losing patience with North Korea. 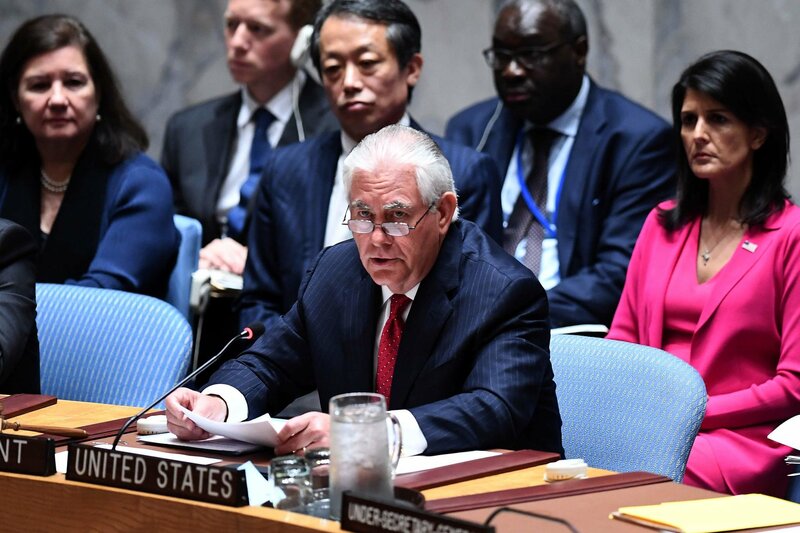 In this context, U.S. Secretary of State Rex W. Tillerson, who for the first time addressed the UNSC, stated that the United States was keeping “all options,” on the table if diplomacy failed to persuade North Korea to halt its nuclear weapons program. Further, Secretary Tillerson called for stricter sanctions against North Korea (e.g. increased diplomatic measures), threatened to impose sanctions on third parties that continued to cooperate with the hermit country. This might be a result of an UN report citing the breathe-taking ease which North Korea circumvents international sanctions. Finally, he also demanded that Pyongyang dismantle its nuclear weapons program before talks could begin. Other Permanent UNSC members, especially China, urge the de-escalation of tensions. Primarily, that talks should start if and when North Korea stops launching ballistic missile tests and the U.S. stop it’s military build up. Neither the U.S. nor North Korea seem to have accepted this proposal, although both have sent mixed signals. Firstly, President Trump, warned of the possibility of a “Major, Major conflict,” with North Korea. President Trump wished for a diplomatic solution as there were concerns that Pyongyang was preparing to conduct another nuclear test. 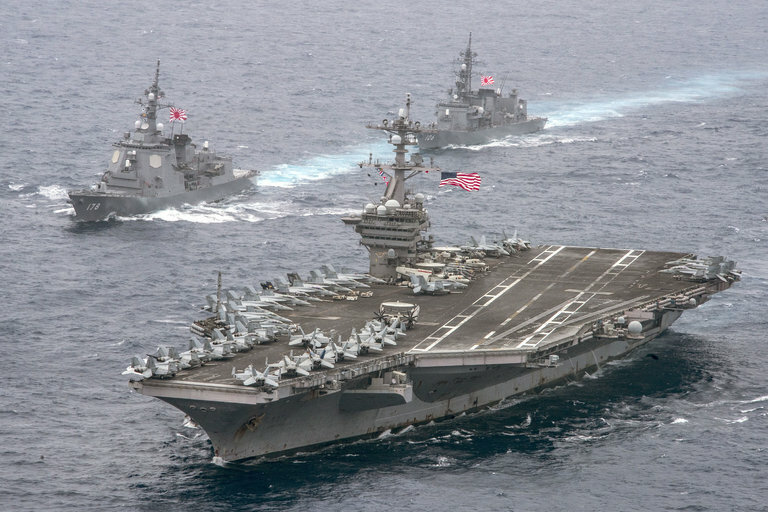 However, President Trump complicated matters when he also criticized South Korea for not paying enough to stop it’s northern neighbor’s shenanigans. In his usual fashion, he demanded that South Korea pay for the deployment of the anti-missile shield (Terminal High Altitude Area Defense system) – estimated to cost 1 Billion US$. This has triggered a national debate in the South Korean election to replace the ousted president Park Geun-hye. Secondly, North Korea, responded to the UNSC’s meeting – especially Secretary Tillerson’s remarks, with a missile test the next day – which again failed. It’s unclear what the added value of additional sanctions will be – although I would support sanctions on third-parties which knowingly advance North Korea’s wrapped nuclear weapon and ballistic missile program’s. The question is whether de-nuclearisation of North Korea will be enough to sustain the peace and even advance the prosperity of North Korea – given a regime that would rather starve its population in the pursuit of an absurd weapons program. 1 Comment on "UN Secretary-General warns that lack of communication with North Korea is dangerous"
I simply want to say I am newbie to blogs and certainly enjoyed this web site. Probably I’m likely to bookmark your site . You really have beneficial writings. With thanks for revealing your web-site.